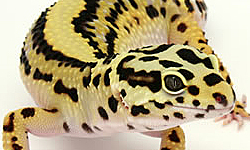 Tell us a little about yourself and your reptile product company: how did you get into reptiles and reptile products? Do you keep reptiles yourself? Hello! My name is Robert Coral. I held my first reptile (baby Red-tailed Boa) when I was 19 years old; I got into reptiles a lot later in life than most people in the industry. However, I more than made up for my late start rather quickly. I was hooked from that day forward and have always had a room full of creatures, from Snakes, Lizards, Geckos and Frogs, to Tarantulas, Scorpions, Centipedes, Cockroaches and more – and I’m not talking just one or two of each. Anyone who knows me can’t remember me without a plethora of critters in my life. Fast forward 20 years later – advancing from beginner reptile hobbyist, to enthusiast, to breeder, to pet shop volunteer, to general dealer (this is where most people stop), to reptile show vendor, to wholesaler, to reptile retailer, to multiple chain stores, to multiple online reptile stores, to reptile supply distributor, to reptile product manufacturer, and soon-to-be author; you can say that I’ve learned a few things along the way. Most of my life has been dedicated to reptiles, one way or another. I launched Lugarti, Inc. in September of 2015. I wanted a brand that not only produced high quality items, but products that worked well and offered much better solutions than what were currently available. I felt that the industry deserved better. In my opinion, the quality of all the brands out there were either “Fords,” “Chevys,” or “Hondas,” but there were no “Mercedes.” While those brands are successful in their own right, something was missing. So I decided to create the first “Lamborghini” brand of reptile products. How did you come up with the name “Lugarti” for your company? Most people think “Lugarti” is my last name. It’s not, I made it up. Coming up with a good business name takes effort. I spent many nights falling asleep trying to figure out a name for this new business venture (even dreaming about it). I wanted something unique and fitting for a high quality brand. In Spanish, Lagarto means Lizard. But that didn’t sound exotic enough. I wanted the name to sound similar to Ferrari or Lamborghini, so I changed the last letter to an “i”; Lagarti. Better, but it didn’t roll off the tongue like I wanted it to, so I kept thinking. Bugatti is one of the most luxurious exotic cars out there and sounded cool, so I switched the first “a” to a “u” and got, Lugarti. As soon as I said it I knew I had it (two months later). The logo took me another few weeks to figure out. Basically, I took the shield emblem of a Lamborghini, made it more squat, combined it with Ferrari yellow, and instead of a bull or horse as the animal (which represent power and prestige), I used a Crocodile Monitor. 2017 is going to be a big year for Lugarti as I’ve been working on many new products – most of which don’t exist in the market. A couple do, but what I have coming is far superior than any current offerings. Words can’t describe how excited I get when launching a new product. I feel that all my years of experience have culminated into producing these new products. There has been some interest in your reptile bedding product. What led you to develop a new bedding product? Over the years I’ve used every single substrate available by every manufacturer. Some are OK, but most aren’t that great and can be harmful to your pet. Being a natural DIY’er, I’ve played around with various alternatives, mixing and matching countless substrates and creating endless variations of what I now call Natural Reptile Bedding (NRB). I developed Natural Reptile Bedding over the course of 4+ years through much experimenting: tweaking and adjusting ingredients/ratios to make the blend perfect for all reptiles, not just certain types. I wanted something that worked well at absorbing odor, held humidity, kept its shape when burrowed in, was safe if ingested, plus looked and felt natural to the animals. I also didn’t like the feeling of knowing every bag of wood-type shavings or mulches was aiding in the harming of trees. Natural Reptile Bedding is a specific blend of sphagnum peat moss, extremely fine sand, and bentonite clay. 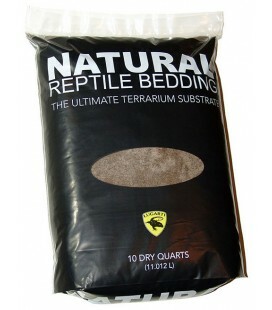 It is by far the best bedding to use for Bearded Dragons, Leopard Geckos, Crested Geckos, and Tortoises. The key is to pack it down tightly and to a depth of at least 3″ – 4″ (the deeper the better). Unfortunately, a lot of breeders have scared people into thinking that any loose substrate is bad for reptiles – which was fair advice before NRB – but that has now changed. Natural Reptile Bedding is not only completely safe, when used properly, it is so safe that newly hatched baby reptiles can be raised on it. In fact, I’ve tested NRB over the past few years now on thousands of baby reptiles of various species, and I can honestly say that reptiles do much better on NRB than on any other product available. While things like tile, carpet, newspaper or paper towels might be safe, they don’t hold proper humidity, don’t look all that great in your setup, are far from natural, and most importantly, the animals don’t prefer it. One thing people notice immediately when switching their animal over to NRB is their change in behavior. Their animals start acting more like they do in the wild – because they’re more comfortable and stimulated by the natural look, feel, smell and taste (yes, reptiles actually taste their surroundings) of Natural Reptile Bedding. A common misconception about Bearded Dragons or Leopard Geckos is that they’re “desert dwellers,” and thus need to be completely dry. Yet, people don’t know why some of their baby dragons die, or think it’s normal for their leopard geckos to have stuck shed on their toes. These problems don’t exist when using NRB [correctly], as it offers essential humidity while the surface remains dry to the touch. What type of research did you do in your development process? LOTS of experimenting, over 4+ years of various trials on various animals (I’m always experimenting). Bearded Dragons were my main subject – testing on literally thousands of babies – and I never lost a single baby due to impaction or dehydration. One of the best things I discovered using NRB was that it’s the most desirable egg laying substrate for all reptiles I’ve tested it on. If you have a depth of at least 4″ – 5″ (packed tightly) of NRB in your breeder’s setup – Bearded Dragons, Leopard Geckos, Crested Geckos, etc. – along with your favorite lay box, your gravid animal will always choose to lay directly in the substrate over that lay box (unless you put NRB in the lay box), 9 times out of 10, especially if you keep it slightly moistened (not wet). And if you keep your temps right, you can leave these eggs in the substrate and allow them to hatch naturally! I’ve done it by accident a few times, with Crested Geckos, Gargoyle Geckos, Leopard Geckos, Leachies, and even Russian Tortoises. There’s no other substrate out there that you can do this with, safely, as eggs will usually either dry out or mold before they hatch. Could you compare and contrast your natural bedding to coco fiber and excavator clay? 1. It dries out very quickly. 2. When it does dry out it’s dusty and gets all over the place. 3. If you try to keep it wet all the time it will mold. As for Excavator Clay, I wrote a detailed article on the differences of the two substrates back in July of 2016. You can read it on the Lugarti website. Basically, Excavator Clay is an OK product, but it has many flaws: it’s not easy to work with, it’s very messy, when it dries it’s like concrete (making it very difficult for burrowing species to dig in it), it’s very heavy (I’ve seen people break their tanks using it), it’s a pain to replace, it has lots of rocks in it (a possible ingestion hazard), it offers very little humidity, has almost no odor control, and it’s difficult to grow tropical plant species in it. It’s like the opposite of NRB. 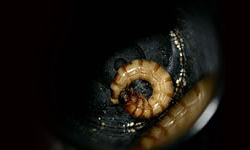 Can plants and scavenger bugs such as isopods, springtails and dermestid beetles survive in your bedding? Absolutely! Many people have adapted NRB with their bio-active setups. I’m actually working on a separate bio-active bedding as we speak. Stay tuned for that! Your bedding instructions recommend changing the substrate periodically. How does this work for bioactive set-ups where the substrate is generally not changed? The instructions are aimed at the average reptile owner who’s looking for the best substrate solution for their pet, who most likely does not have a bio-active setup. Again, it can be adapted to be used in a bio-active environment, but you must add the necessary ingredients to make it so. And then you won’t need to change it for years. But Lugarti’s bio-active substrate will provide a separate solution for this soon. Is there anything more you want to tell us about your products, company or your commitment to reptile keeping? Be on the lookout for many new Lugarti products to hit the market in 2017! Most will be never before seen products. Some will be far superior products than what’s currently available. I always spend a great amount of time and pay very close attention to every detail of our products, from package design, to ingredients, to the verbiage, and overall quality of the end result. Meaning, you can always expect honest, accurate and appropriate information on each product. It always bothers me when a manufacture puts info and or a photo of an animal on a product that clearly doesn’t belong. People love Lugarti packaging, which I am very proud of. I do all of the work myself, including the verbiage, and take most of the photos I use myself as well. The monitor silhouette in our logo was of my 7′ Crocodile Monitor. I plan to be part of the reptile industry for life, and though I’ve accomplished a lot so far, I really feel that I’m just getting started. Make a product that a reptile would choose and it will be the product that will one day control the market. I’ve been using his dubia diet for a few weeks now and the quality is hands down probably the best I’ve seen. I’m really anxious to see what other stuff Lugarti does in the future! 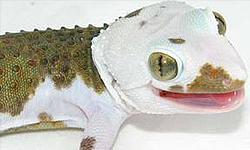 What about Frog-eyed geckos? I was thinking 50/50 this with play sand to a depth of 4 inches? I have just started getting into geckos, and got my first gecko a couple months ago. She is a leopord gecko and she is very healthy and happy, but despite reassurance from a couple of people I am still paranoid that she might get sand impaction from her substrate ( it is sandy soil ). This substrate would finally put my fretting to rest, so I looked online to buy it. I live in the UK and everywhere that sold it sold it in $ not £ and didn’t ship to the UK. Is there any way to get it in the UK? You could consider contacting Robert Coral by going to the Lugarti website and finding the contact page. You could also consider replacing the sandy soil with ceramic tile which holds heat well and looks good. Tucker – There is absolutely no need to add play sand to NRB as there is already a much superior type of sand in it.